The horrifying Wyrm Queen Valyndra has awoken from her sleep and plunges the countryside into chaos and destruction. Her insatiable greed for gold drives her out of her cave now. Only a small group of heroes oppose her and her cruel servants to put a stop to her destructive force. New heroes, monsters and classes come with this expansion to widen your Descent collection. In order to prevent your game box from looking like it has been attacked by Valyndra, we at Feldherr have developed the foam tray set for the original Descent: Journeys in the Dark Second Edition – Lair of the Wyrm board game box. The set consists of a foam tray (dimensions: 247 mm x 247 mm x 35 mm height) and a foam topper. Naturally, the material used are free of chlorine and acid. 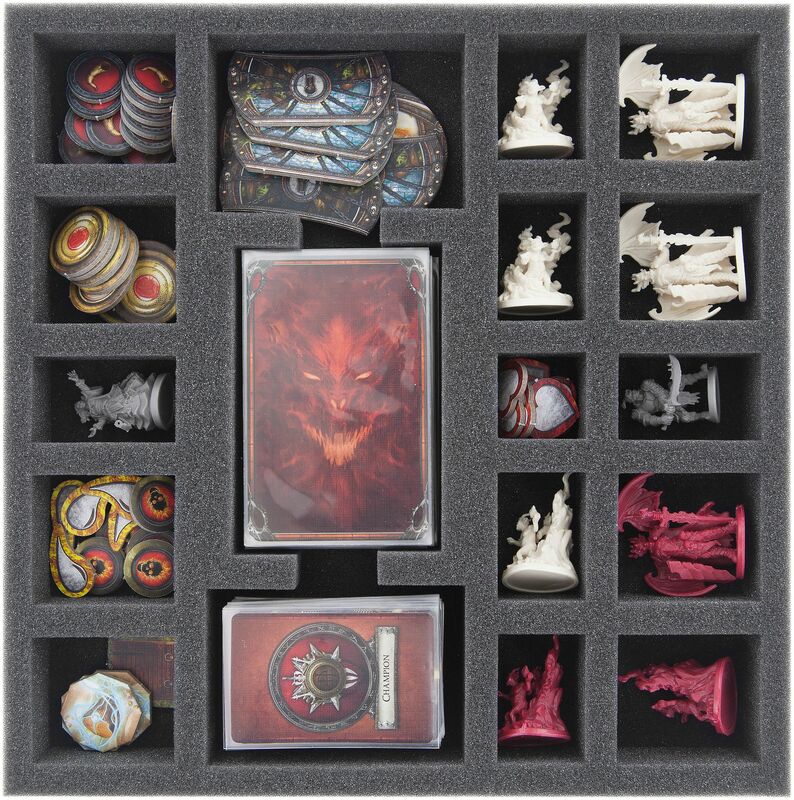 All of the ten new hero and monster characters of the expansion pack will find their safe place in custom-made compartments. This protects them from abrasion, which might be especially important for painted miniatures. It also preserves Hybrid Sentinel's wings, just like Reynart's sword from buckling or breaking off. Another eight compartments help to sort game cards and tokens. 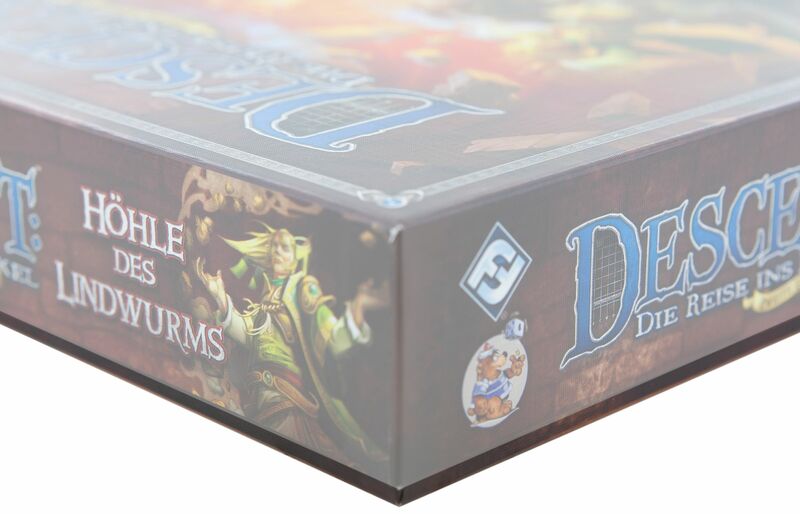 The cards can be sleeved and divided into two compartments, for small and for bridge size. Tokens can be clearly sorted into the other six compartments. 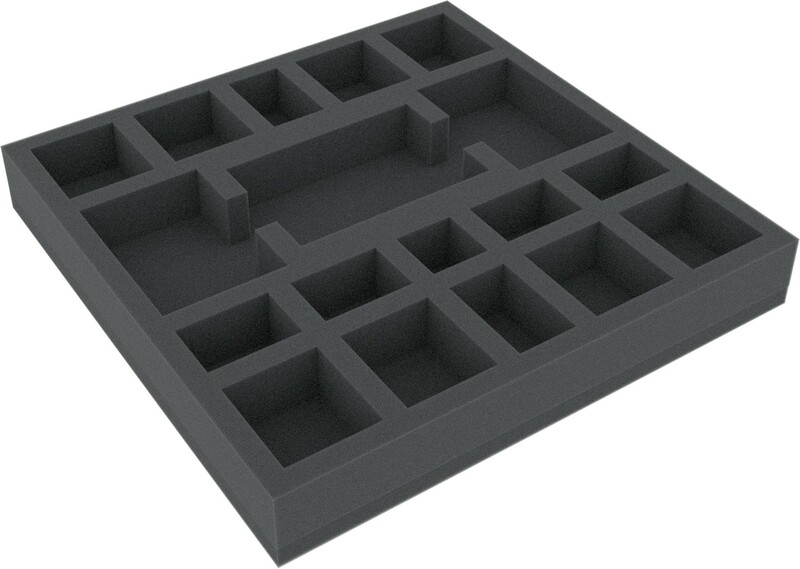 Below the foam tray, you can store the map tiles. This causes the lid of the game box to protrude slightly. On top of the foam cover you can put the two Hero Sheets and the Rulebook/Quest Guide. Thus everything is stored safely and clearly arranged. This will save yourself some time and nerve, which you can put to a better use in the next game. 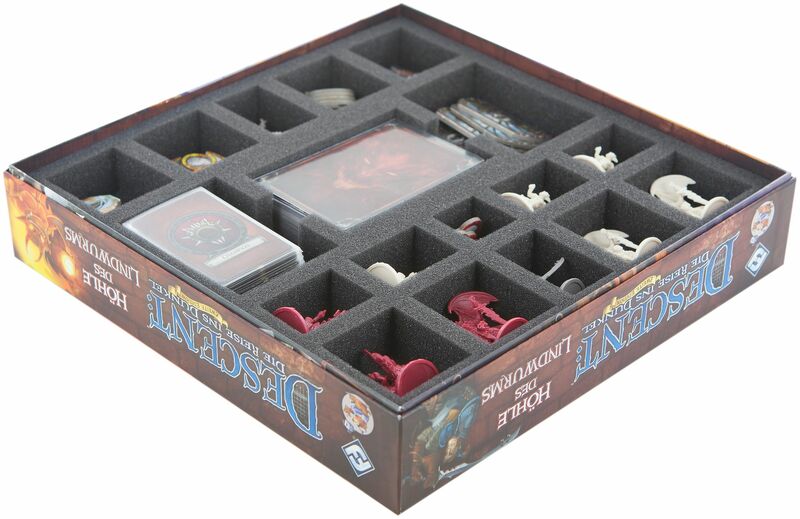 Dimensions for this board game foam tray are 247 mm x 247 mm x 35 mm.